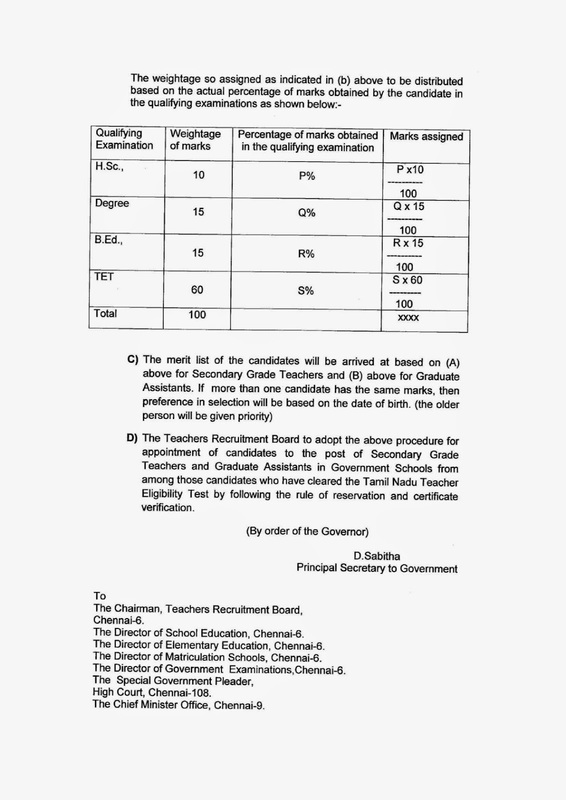 Trb (Teachers Tecruitment Board) Conduct Teacher Eligibility Test TET. This test is very must for teacher appointment. 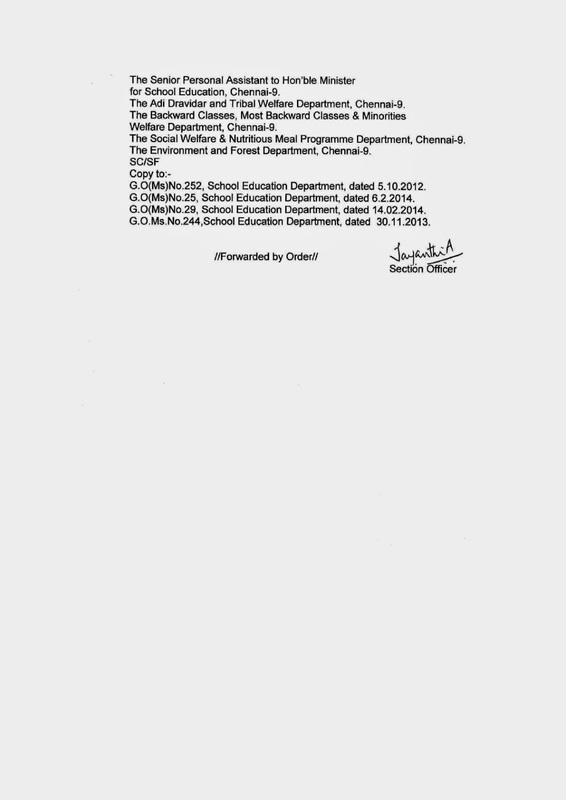 Tamil Nadu department of school Education appoint teachers bases on TET exam with weightage slab. But lot of candidates oppose this weightage slab system. 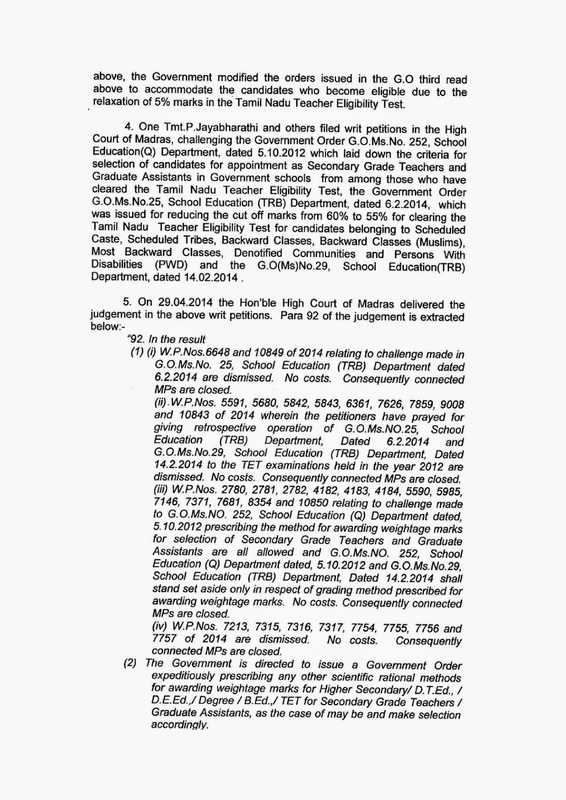 So candidates file cases on court, for change this weightage system. After long time court gives justice for change TET new weightage system with scientific method. 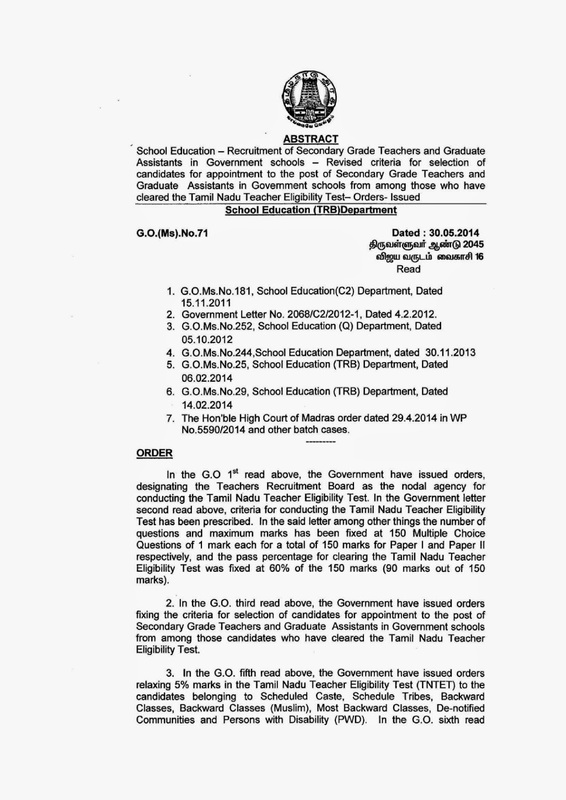 So Tamilnadu department of school education now give new weightage GO based on court justice. 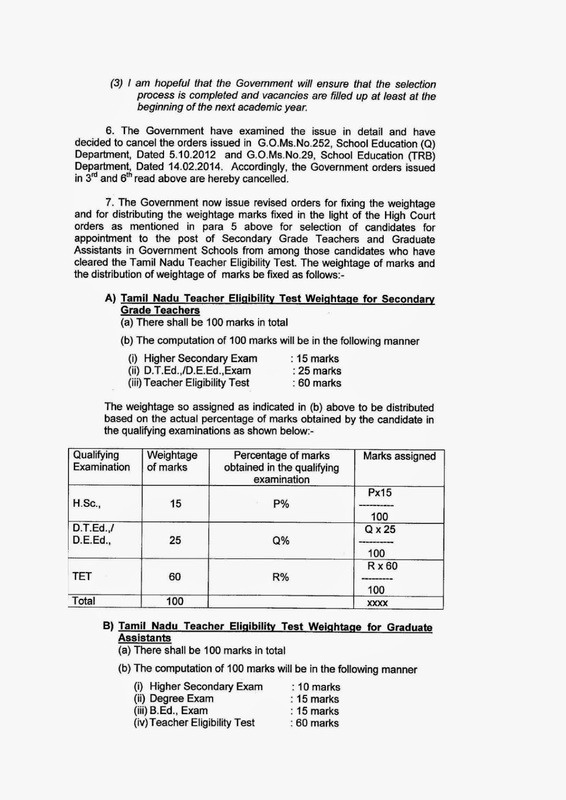 Now we publish this new TET weightage GO on government official website www.tn.gov.in in go section.